Hi, I belong to a middle-upper class sikh family of 4. born and brought up in delhi, i am independent yet believe in family values and stick to them. I believe in - live and let live, life is easy that ways. work life balance for me is a must. My hobbies include reading. we are a close knit family. My elder sister is married and settled in Manchester, UK. My father has a business of fire safety consultancy, which is more than 25 years old. His work includes both private and government sector projects. My mother is a home-maker.\r\nBachelors degree in IT from GGSIP University, Delhi . MBA from Indo German Chamber of Commerce, Mumbai. 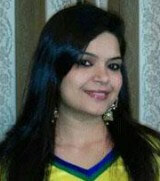 I work as manager - internal communications for a leading PR organization based in Gurgaon. \r\nPreviously I have worked at Hella India in Marketing and Communications.!!!#!!! My daughter has passed B.A.II and appeared in final this year. 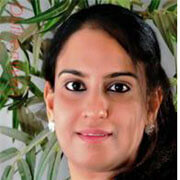 She is working as Sr. Executive in TATA Sky Ltd. office at Indl. Phase-8,Mohali and knowledge for stiching the lady garments. Father retired as Supdt. in the office of the Pb. Technical Education Deptt. Mother is home maker and has one elder brother working in royal Enfield co. and younger sister in U.S.A for doing Phd. I am nature loving simple girl, i like cooking the good food and my hobby to cleaned the house and settled the house hold articles properly. 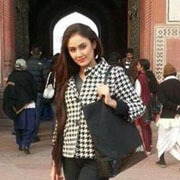 We are looking for a suitable match for her, educated, well settled punjabi boy, Location of Punjab and Delhi only.!!!#!!! My daughter has done BDS now pursuing MDS , currently working as a Doctor in Private Sector. We are looking for a well qualified MD /MS, , Businessman , minimum salary 25 to 30 LPA. Highly standard families can contact us. She is very beautiful, smart, soft spoken and intelligent convent educated girl having family values,She has done her schooling from a well known Convent School of Mumbai and she did her degree in Fashion Designing from top institute of India in the line i.e. N.I.F.T. She completed her further higher course in one of the topmost institutes in the Fashion Design field in New York USA. She belongs to a highly educated gursikh family. Her father has been a very Sr. Central Govt officer. Her mother was working as Sr. Bank Manager in one of the top private bank. She is having two brothers. The elder one is a post graduate in business information systems and is employed in one of the Big 4 companies in USA and the younger one is also studying in USA. 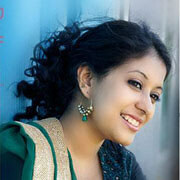 Presently she is working in a top film production group as a stylist in Mumbai. 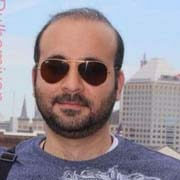 We are looking Highly qualified , well placed ,handsome and smart boy settled in Mumbai or U.S.A.or Canada.. Should be from a very respectable, educated gursikh family. !!!#!!! My daughter has done B.Com & MBA. 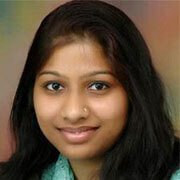 Presently she is working in Bangalore as a HR Manager. her earning is 6 LPA. She is very smart, sincere, intelligent, beautiful girl. I am house wife, my husband is working in Pvt. Job. her two younger brother. our own house in Hissar, Haryana. basically we belong to Hissar, Haryana and we belong to Punjabi Arora family. we are seeking a suitable match for her marriage. Serviceman in Out of India / In India / MNC Employee. Punjabi / Punjabi Arora / Khatri / Clean Shaven Sikh. She has deep respect for the elders and love for the younger. She is very religious in nature. She is very Confident, Smart and Down to Earth personality. She loves to do house hold work and is very hard working in office work. She has done B.SC medical and M.Sc in Chemistry. She won GOLD medal in the M.Sc. She has also done B.Ed and did six month research work as part of P.hd. She is teaching in a private school in Amritsar. She teaches the students of 10+1 and +2 students and also prepare them for the entrance exams. We are Marwari aggarwal. But our Grandfather moved to punjab so we are more or less Punjabi in nature but speak Hindi also to the same extent. Our family lives in Amritsar but my father's parental home is in KotKapura (Distt. Faridkot). !!!#!!! My son has done B.Sc (Hospitality) , currently he has own business. We are looking for a good looking , well educated , working / non working girl for matrimonial alliance. He has done his Bachelors in Computer Science and Engineering. He is an Army officer in Defence. his earning 10 - 15 LPA. He has a calm and composed personality. He likes to travel, visit new places and meet new people. He respects his elders and values his friends. his family is settled In Indore from past 40 years. Father is a Serving Officer in a nationalized bank and mother is Home Maker. 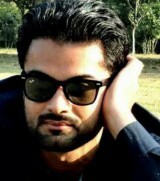 He has one younger Brother who is studying in 1st year MBA. He is blessed with presence of Grand parents with us. 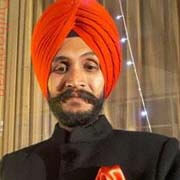 he looking a well educated / working / Sikh: Arora, Sikh: Bhatia, Sikh: Gursikh, Sikh: Jat, Sikh: Kamboj, Sikh: Kesadhari, Sikh: Khashap Rajpoot, Sikh: Khatri, Sikh: Labana, Sikh: Mazhbi, Sikh: Rajput, Sikh: Ramdasia, Sikh: Ramgarhia, Sikh: Saini, Sikh: Others / 21 to 25 age. !!!#!!! My son has done B.Tech & MBA. He is working in SIDBI Bank in Mumbai earning 12.5 LPA. He is caring and loving nature, down to earth with respect for family and human values .We are looking MBA/ MCA/ B.Tech/ M.Tech/ CA, Working (Earning 6+ LPA) Transferable Job, All Punjabi , Smart, Simple match. I am confident, smart guy. I am a socially poised, and simple , person... . I am an honest and straight forward, caring, carrier and family oriented person with a positive attitude towards life. high school & diploma in computer hardware. we have family property dealing business and i am also doing same & my own office in rohini seprate sector. I belong too a moderate family having faith in God. I like to live in the present and making it beautiful by being happy and keeping others around me happy.Let me clear first my left hand gripping is not well ..TOB birth 11:30 am and place of birth Agra. 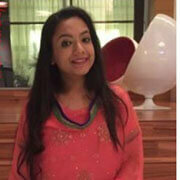 A simple, beautiful, loving, caring & adjustable girl with good educational background. She should have love for the young ones and respect for parents and elders. She should value relationship and tradition. She should believe in long term relationship & ready to face all challenges of life with positive attitude. !!!#!!! 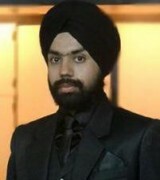 He is a tall, smart and handsome Sikh boy from Delhi. He is a national champion in boxing and has won many gold medals and trophies. Now he is in the Indian Army under the Sikh regiment and posted in Delhi. Very kind hearted and down to earth in nature. He has full faith in Sikhism.!!!#!!! He has done B.Tech in electronics and communication. he is an Interior Designer. his earning 15 - 20 LPA. he is a single child, very friendly and down to earth nature, hard working, creative nature, soft spoken, tall handsome boy. his father businessman & mom govt teacher. looking for a job / B.Arch, B.E/B.Tech, B.Pharma, M.Arch, M.E/M.Tech, M.Pharma, M.S. (Engineering), B.IT, BCA, MCA/PGDCA, B.Com, CA, CFA, CS, M.Com, BBA, BHM, MBA/PGDM, BAMS, BDS, BHMS, M.D., MBBS, B.A, B.Ed, B.Sc, M.A, M.Ed, M.Sc educated / 1 - 3 LPA. / Sikh: Arora, Sikh: Jat, Sikh: Khatri, Sikh: Ramgarhia / Chandigarh, Mohali, Ropar/ Rupnagar/ Roopnagar matches.!!!#!!! 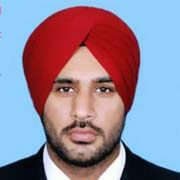 My son is a non-trimmer, non-drinker caring and pious Gursikh boy, well qualified and well placed. He is responsible, ambitious and fun-loving strong in sikh values, he has a modern outlook and is adventurous. He has various accomplishments to his credit, both academic and extra-curricular, including post graduate engineering study in a foreign university and international work exposure. With regard to the fine arts, he can also play the harmonium and tabla. He is also spiritual and attached with Gurbani. My daughter, like my son, was a topper in school and college. She is now happily married in Delhi and is employed as a software engineer with a critical tag. Presently she is in USA with her husband for a while, who is on an assignment there. Both my children have also excelled in competitions and extra-curricular activities. I am a recently retired PSU Bank manager and my wife is a serving PGT Maths teacher in a reputed school. With the grace of God we reside in our own independent house in a posh locality of Delhi and take pride in abiding by the Sikh principles. My son attended school in Delhi and completed B Tech from GGS Indraprastha Uni, Delhi. He then proceeded to Australia for obtaining his Masters in Engg Science at the prestigious Curtin Uni of Technology, Perth, in the field of Communication networks. He has been a top-ranking student throughout and is ambitious. After completing MS Engg my son worked for a short while in Australia before moving back to India. Here he has worked with reputed companies such as HCL and IBM and is now with Juniper Networks. He is also an Australian PR holder.!!!#!!! Log on to our Punjabi Matrimonial website to find the perfect match for yourself. We have database of single Punjabi people who are both residing in India and NRI. Our matchmaking process is second to none, where you can surely meet your soul mate. Our Punjabi matrimony site is free of technical issues as it is monitored by highly skilled professionals regularly. This eases your search for your dream life partner. You will have access to thousands of to-be Punjabi grooms and Punjabi brides through us. 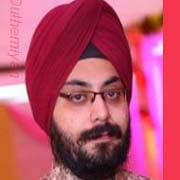 The Punjabi matrimony profiles we have are detailed with information regarding the respective Punjabi speaking singles.